Choose from hundreds of custom graph layouts that work for your unique data. When you're ready to share your data, quickly send users a link to view content or easily print, download to PDF or export your data. 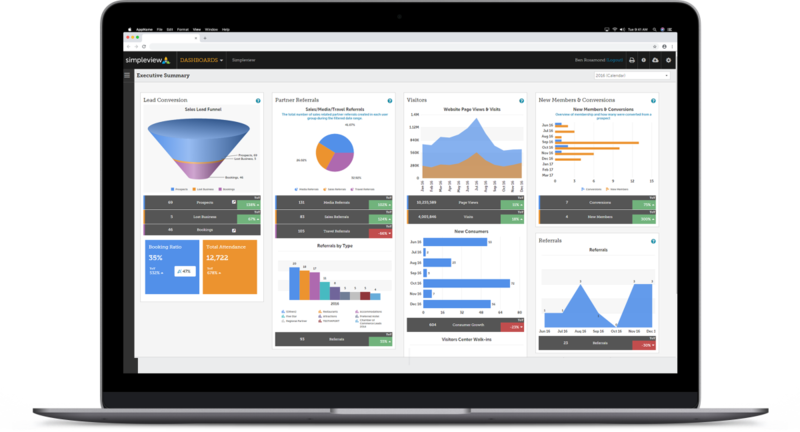 Destination Dashboards consolidates your data into charts and graphs in one centralized dashboard, eliminating multiple logins and manual report building. You can even connect all of your data feeds, such as Google Analytics, social media, blogs, airline lift, point-of-sale (POS) systems and more.